Seriously. Someone was going to do it eventually. Why not me? 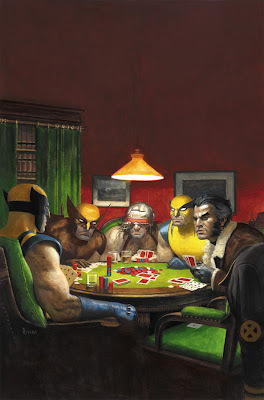 Wolverines Playing Poker is based on the painting "A Bold Bluff" (pictured below) by C.M. Coolidge. 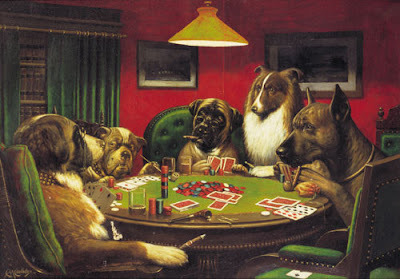 It's from his famous series, Dogs Playing Poker. I used the less famous of the paintings just because I liked the composition better, especially since I was going to have to make it into a vertical composition. The cover is part of Wolverine Art Appreciation Month and is just one of three paintings I did for the event. The other two, based on N.C. Wyeth and Salvador Dalí, will be posted once I get the okay from Marvel. Also, tomorrow I fly to Taiwan for two weeks of pure vacation! I can't friggin' wait! I'll still be posting, but the blog will be on auto-pilot for the duration. I hope everyone has a great weekend. I'll be back in April. Have fun on your vacation! Hope you have a safe flight. Aw Man that's awsome. It's funny how Hugh Jackman's seat is empty. He's probably by the frige getting a brew! what a great idea. someone did have to do it. Really fantastic. I have a card with this on the back, from your lecture, and it's really great! Great illustration man!!! (Maybe I missed the Wolverine's patch identity). 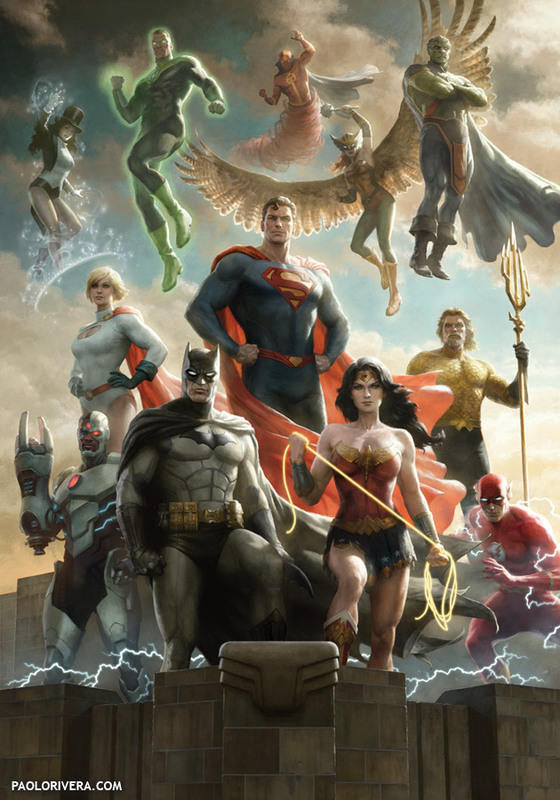 Somebody needs to do "Superheroes Playing Hungry Hungry Hippos." Maybe that should be left up to Joe Q., though!